If it’s true that two heads are better than one, then the collaborative talks now underway between leaders in Oak Bluffs and Tisbury portend good things for the future. Selectmen in both towns began meeting this fall with the tentative idea that they could put their heads together on shared issues of concern. Already it has proved useful. Eastville Beach, the small public beach that is party owned by the county and straddles the towns’ boundaries, is now slated for improvements using Community Preservation Act funding from both sides of the drawbridge. Next up, the two towns have drafted an agreement to hire a single building commissioner who would serve both towns. Final details remain to be hammered out, but the draft agreement appears to be a sound approach. Each town would still have a building inspector, supervised by a single commissioner who would work for both towns. More than one Vineyard town, including Oak Bluffs, has struggled in recent years to hire a permanent building inspector which under state law must meet a rigorous set of credentials. For Oak Bluffs and Tisbury the shared approach makes sense and could attract a qualified candidate who could be paid a competitive salary. In a third agenda item, selectmen in both towns are determined to get a better handle on the increasing number of requests for spending on regional health and human services that have begun cropping up every year. At annual town meetings last spring, a package of spending requests for social services, some under the umbrella of Martha’s Vineyard Community Services, the Island’s de facto safety net, but others from the county and other groups, caused widespread voter confusion. A joint committee set up by the two towns that includes finance directors now aims to take a close look at how these regional spending requests are developed, whether there are areas of overlap and what role the county plays in administering the funds — before town meeting season rolls around again. It is not the first time Oak Bluffs has teamed up with a neighboring town to address an issue of common concern. 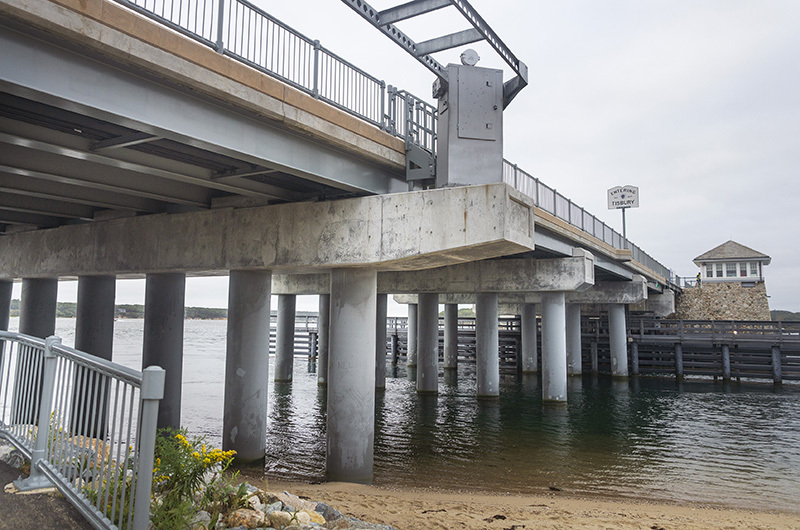 Town leaders have been working collaboratively for several years with Edgartown on initiatives to reduce pollution and encourage shellfish production in Sengekontacket Pond. The dreaded “R-word” — that is, regionalization — is not exactly sweeping the Island, but it is encouraging at a time of unprecedented factionalism in national politics to see town officials working in tandem to solve problems and find cost efficiencies. Winter seems to stretch out endlessly at its start, but already the calendar for 2019 is filling up.